There are close to 2000 new cookbooks published in Germany every year. To make your mark and stand out from among this crowd, you need to come out either with a new theme or an avant-garde look, or a renowned chef personality. This book has them all. Master chef Su Vössing got herself immersed in the world of cold pressed oils, and the final, exciting result is “Das Kochbuch- mit den wohl besten Ölen der Welt” : “The Cookbook - with undisputedly the best oils of the world”, written in cooperation with PÖDÖR Ltd, a producer of premium oils and vinegars. This is not a salad book, as the title might lead you to believe. In fact, it is an inspiring guidebook that offers as many as 108 recipes on its 224 pages, demonstrating the fantastic diversity of dishes that can be prepared with the various oils in your every day life. Another thing that makes this book unique is the artistic interaction between its two creators, Su and Bui Vössing. Its fresh and original pictorial world reflects the photographer Bui Vössing’s immense experience and his enthusiasm for details. The style and look of the dish creations more than match up to to the high quality and genuine flavors of the Pödör oils. In his photos, Bui Vössing uses background materials such as burnt wood, leather, fur or even a chalkboard, which he sets in contrast with the finest silverware. The photographs provide a true reference for the reader, since Su Vössing ’s dishes, prepared without any artificial additives, are served hot, and this is how they get to be photographed. A visit to the studio reveals how much work and energy the Vössings have put into just a single page of the book. “I am a quiet person”, -this is how Su Vössing describes herself. “You need a state of tranquility to create a recipe.” In its initial phase, the chef is standing by the window or sitting by the fireplace and is just speculating. “I am contemplating on things, jotting down ideas on slips of paper and often make decisions in an intuitive way.” The spontaneous decisions must then be recorded in precise notes for the recipe to work. The ingredients must be specified with the exact weights or quantities. There is no room for such imprecise units as “teaspoonful” or “spoonful”. This will, among other things, guarantee that the dish can be prepared with success just by following the instructions in the recipe. Before creating their dishes, Su and Bui Vössing agreed on the structure of their book as well as on its dominant colors and the typography, e.g. whether the text should be the aligned or justified. It was only after this that the development and preparation of the recipes could begin. “We always work with a pre-planned book structure, creating a sensible and balanced unity, just like in a good meal”, says Bui Vössing. “The texts of most cookbooks tend to be rather neutral, a mere combination of lists and instructions. Do this, take that, take this, do that. So you need to build up a unique pictorial world to create the atmosphere and win over the reader, which will in turn be the impulse that motivates them to prepare the dishes themselves. 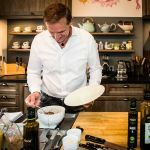 Having studied the description in the recipe, Bui Vössing selects a plate and takes it to the kitchen, where he envisions the entire composition. How would the ingredients that are already being prepared, match in color and shape the porcelain in his hand? What would the ideal background be? Burnt wood? Coarse leather or the black fur of an old Le Corbusier sofa? How about the silverware, the napkin? Would he need an under-plate or not? Is the decoration to reflect on the dish itself or should it rather be some flowers from his own garden? Each complement should have its own, individual character. With all these questions in mind, it takes more than an hour before he can start taking the actual photograph. „Now everything is perfect and mouth watering, waiting only for getting photographed!” We’ve caught the moment that will serve as an inspiration for the reader looking at the book to try their hand at cooking, too. Su Vössing arranges the dishes on the plate hot, so to say ready for serving. While she is placing the last decorative element on the plate with the help of a pair of pincers, her husband Bui checks the image on the monitor. The more precisely he works, the subtler the transition is from sharp to blurry, he explains. a list of oils with background information and the various uses of PÖDÖR’s 20 culinary oils. Su Vössing completed her culinary studies in the city of Warburg. In her early 20s, she moved to Paris and worked together with such renowned master chefs as Jean-Michel Bouvier and Alain Senderens. She was only 27 when, as master chef of the “ Le Maron“ restaurant in Bonn, she was awarded a Michelin star - the youngest ever chef to earn this distinction in Germany. Her career continued in the “La Société“ in Cologne, Germany and the “Café Europe“ in Key West, Florida. Through 1997 and 2005, Su Vössing worked as a television chef in the “Kochduell” program of Channel Vox. As product expert, she is a regular guest of the QVC marketing TV channel. 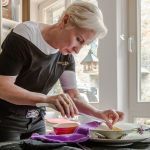 In 2009, she and her husband Bui Vössing set up the Su Vössing GmbH, specializing in cookbooks, cooking schools, food photography and event organization. 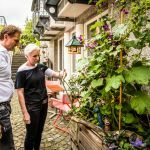 The two of them have been living and working in the old town of Stolberg, Aachen since 2013. Since its foundation in 2011, the PÖDÖR family business has been developing and producing premium quality oils and vinegars. 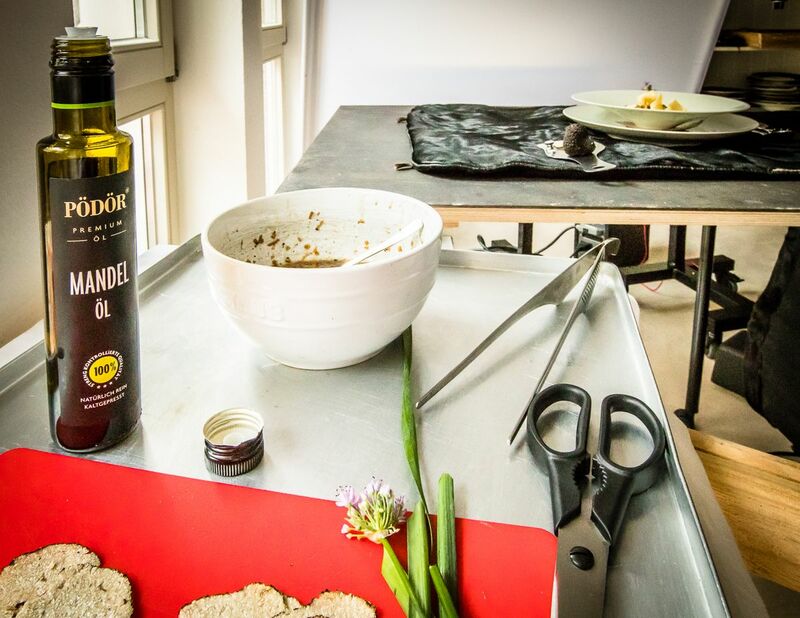 PÖDÖR’S press master, who is also co-owner in the company, represents the fourth generation of the trade, carrying on the family tradition in the production of cold pressed oils. 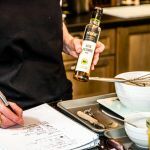 Thus, PÖDÖR can rely on the experience of more than a hundred years in making their cold pressed oils of the highest quality, and develop products that respond to the spirit of our age dictated by the demands of the modern, exacting consumer. PÖDÖR makes the best of the seeds, using only excellent quality, 100% natural and thoroughly cleaned raw materials for their artisan production. 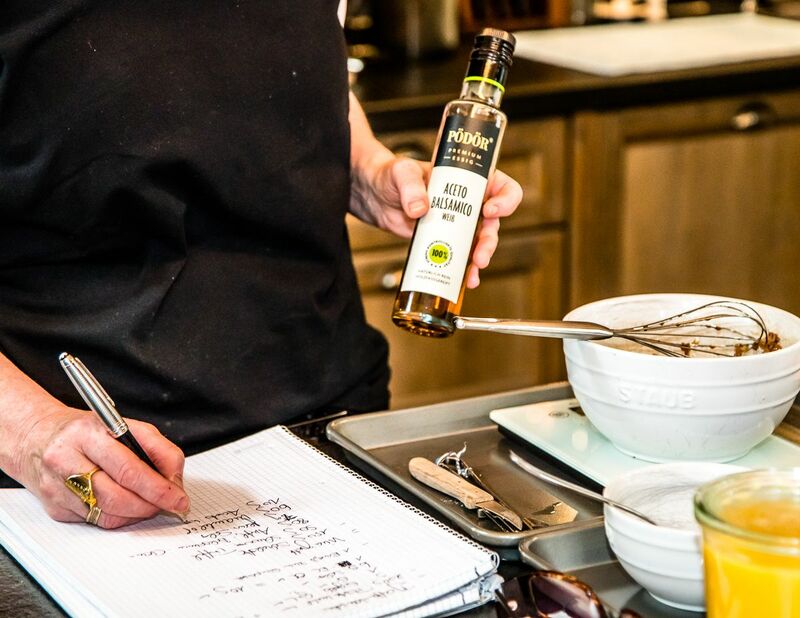 The prepared oils are bottled in compliance with the strictest quality criteria to ensure that they preserve the healthy unsaturated fatty acids and vitamins that they contain. PÖDÖR is present in more than 10 countries, including Germany, the USA, Japan, Taiwan, England, Switzerland and France. By now, PÖDÖR has grown into a dynamically growing, international premium brand. Its product range embraces 27 cold pressed, pre-dominantly qualified organic premium oils as well as 20 different kinds of fruit and balsamic vinegars. 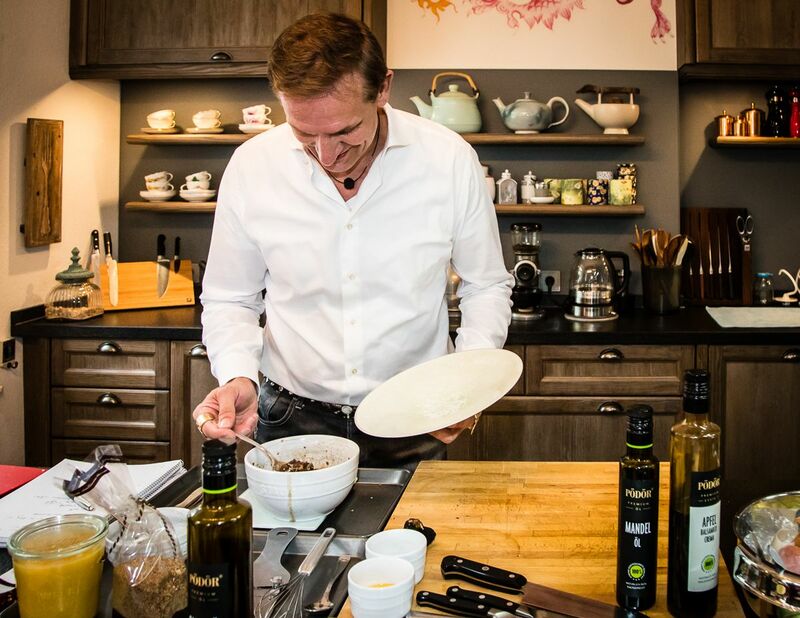 PÖDÖR’s clientele includes international top restaurants, Michelin star star chefs and premium retail food shops. Bui Vössing (the photographer) and his wife Su Vössing (the master chef) discussing about details. Make sure the truffle is not cut too precisely. “We are using a pictorial language that is not too far from the average people”, explains Bui Vössing. After the mental work of planning there comes the manual job. Su Vössing measures the ingredients and then notes down everything carefully. 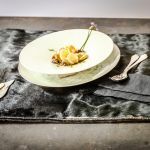 For the recipe „Mock Cappelletti – truffle vinaigrette with Pödör almond oil, Bui Vössing chooses a light, mineral patterned plate. A composition elegant, glamorous and absolutely genuine – perfect to the minutest details. 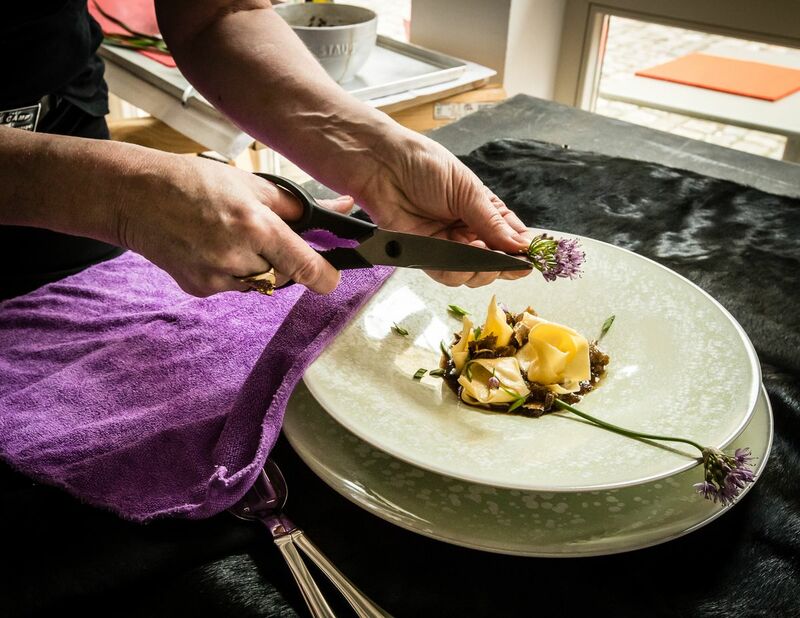 Su and Bui Vössing select only natural ingredients to complete their dish „Mock Cappelletti –truffle vinaigrette with Pödör almond oil”. Their work of art is decorated with garden flowers. 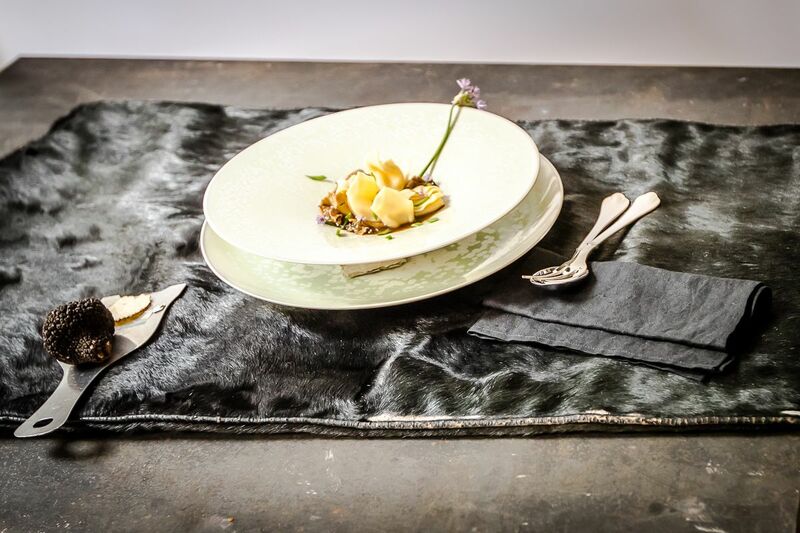 An extraordinary image – with exclusively designed plates from the Jaune de Chrome and JL Coquet (Limoges) porcelain manufactory in France and fine silverware from the Franzen company in Dusseldorf, an expert in culinary culture. 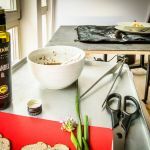 Genuine ingredients for a genuine look – arranging the dishes created to demonstrate the merits of Pödör’s cookbook (Das Kochbuch) about oils that are regarded to be the best in the world. The Vössing tandem in the last and decisive stage of their work. The dish is served hot and then gets photographed. Su Vössing master chef arranges every dish on the plate „à la minute“, as though ready to serve. 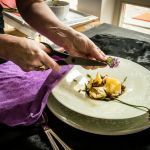 Su and Bui Vössing use only natural ingredients and often select fresh flowers or herbs from their own garden to garnish their dishes. You would like to form your own opinion about the taste intensity and quality of PÖDÖR oils and vinegars? Then we would be pleased to provide you with an indulgence set for media partners. Please contact our press office. In a personal conversation we will be happy to advise you which products fit into your editorial thematic plan or are suitable for culinary and seasonal use. Recipe cards, photo material and tips from 3-star chef Thomas Bühner for everyday use are also part of the information material. Order an individual indulgence set for media partners via our press office!